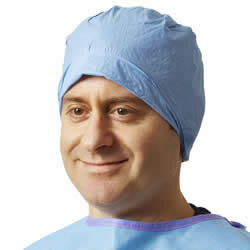 Disposable surgical hoods and caps provide and exceptional protection from foreign bodies and provide fluid protection during surgical procedures. 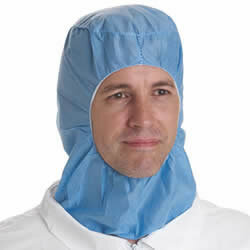 Head and hair protection is necessary when entering a cleanroom or sterile environments. We offer a variety of protection to outfit all facilities. 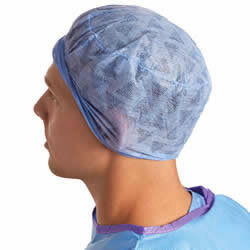 At National Scrubs we offer surgeon caps with or without elastic bands and caps that tie in the back. We carry a variety of material featuring: Scrim Material is designed for absorbency, Multi-layer material for fluid-resistance, Spunlace and Polypropylene for all day comfort. 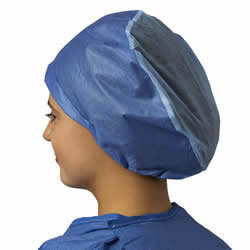 We also offer a variety of bouffant hair covers ideal for the health and food industry.